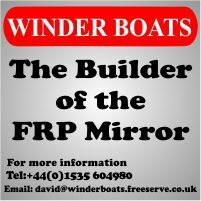 In the afternoon after a lovely lunch Robert Richardson and Faye Caswell decided to jump in to a mirror after Emma Clayton deciding she wants to play around in other boats. 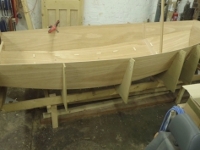 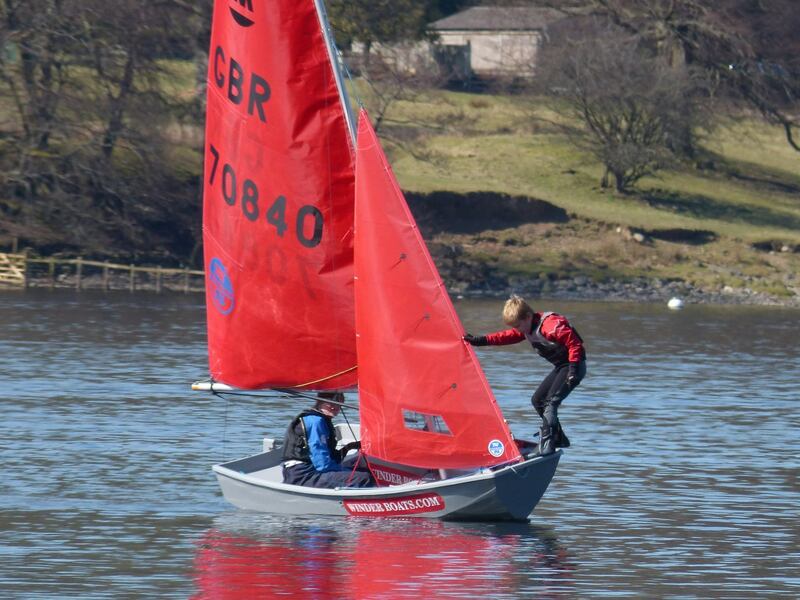 When we hit the water one of the activities was 9-6-3-go so get up to scratch with starting. 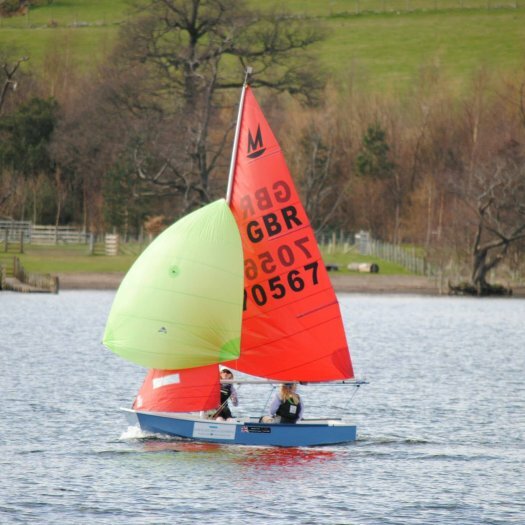 We then swiftly moved on to taking and gybing on the whistle but unfortunately the wind decided to cut off so we headed home. 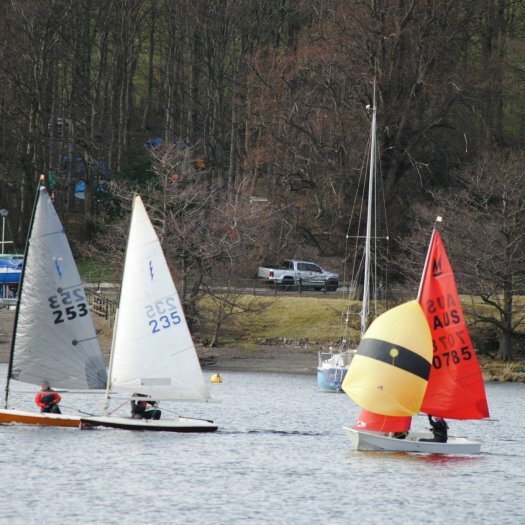 On Saturday we woke up to thick fog and no wind so we decided to play ball games on the water once the fog had lifted. 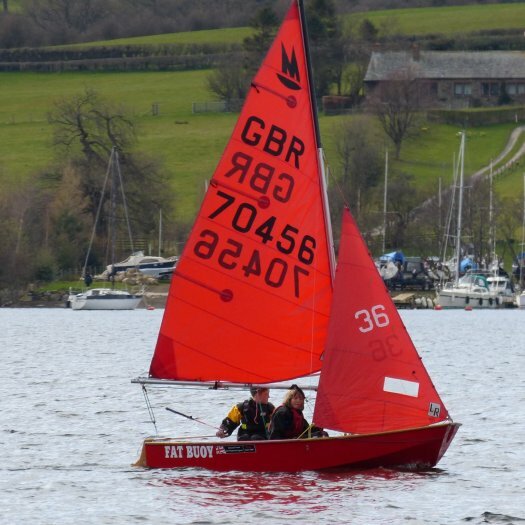 At lunch we had a debrief and thanked Dave for all the hard work he had put into the North Squad other the years and then got set for racing. 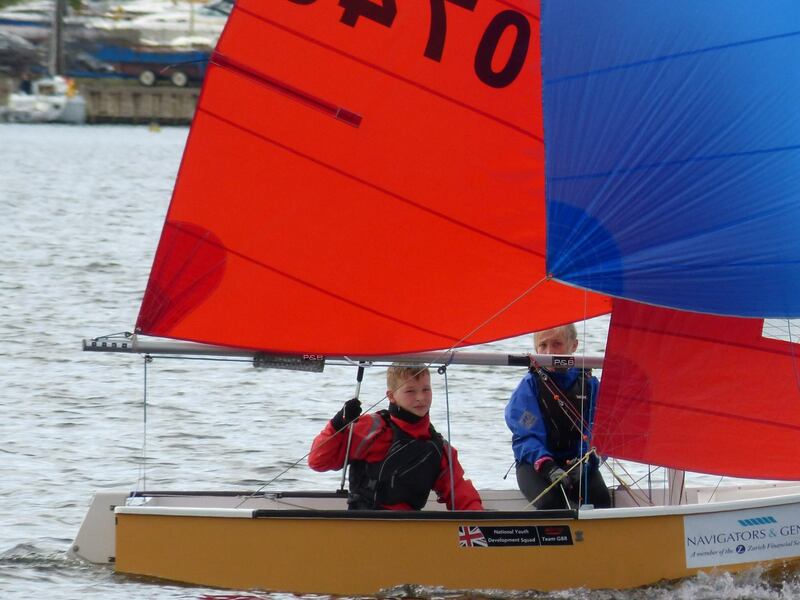 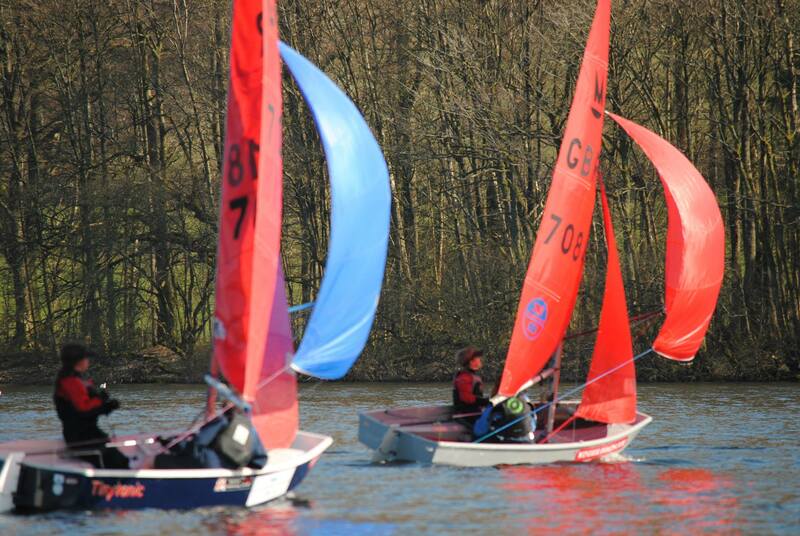 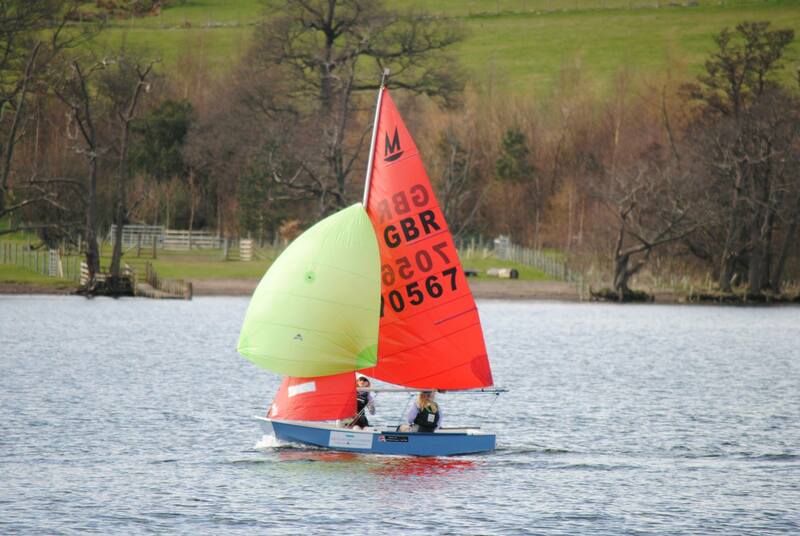 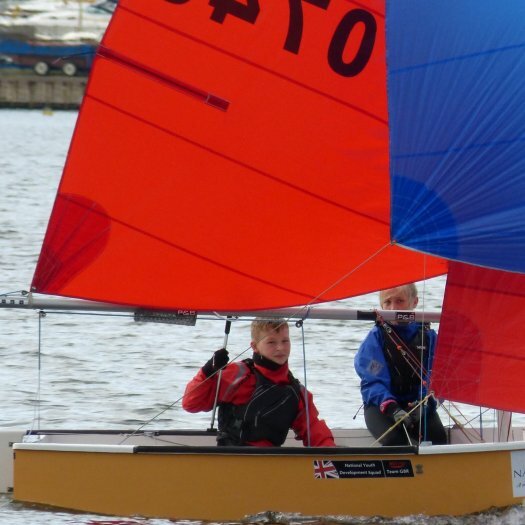 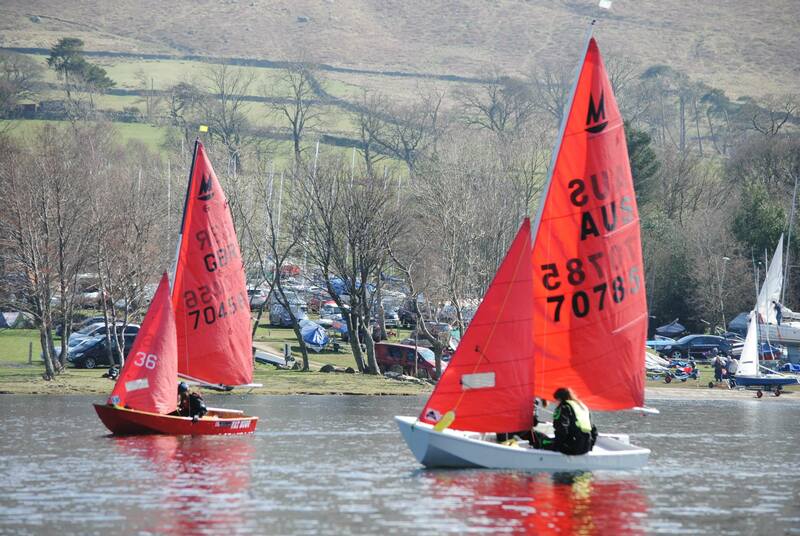 Over lunch the wind had filled in and we got set for our last squad races and the first of the new season. 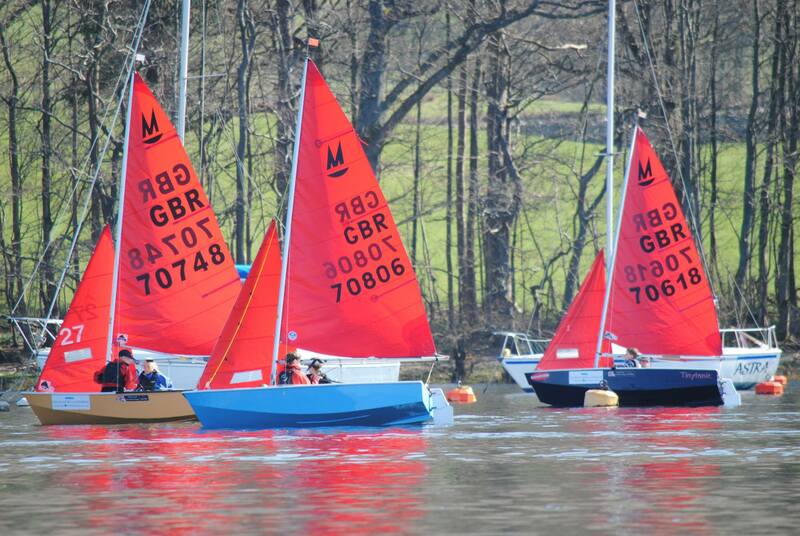 The first start was a general recall due to everyone being over the line. 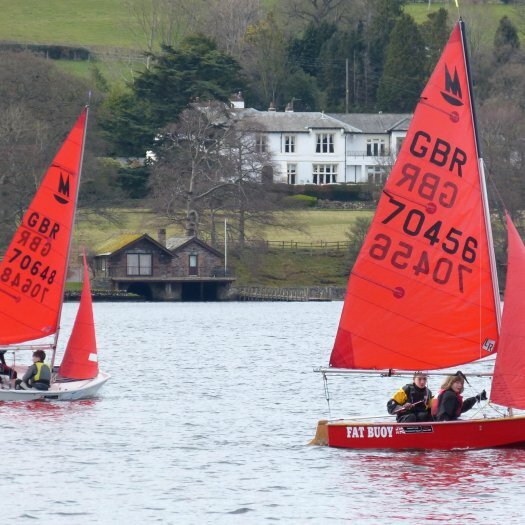 Eventually the race go underway with George Richards and his crew Katie storming ahead to take the win followed by Faye Caswell and Emma Clayton with Robert and Sandy in third. 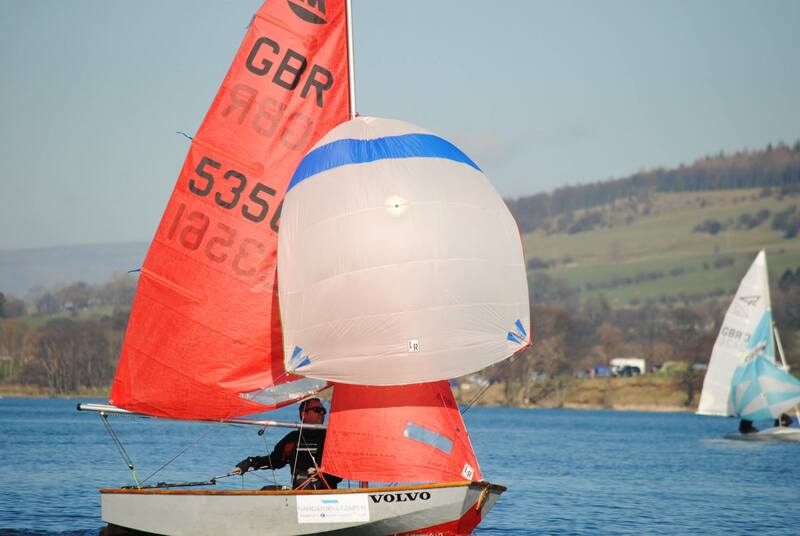 Abi Thornley and her crew Isabel Abbot had a really good beat and where fourth for most of the way. 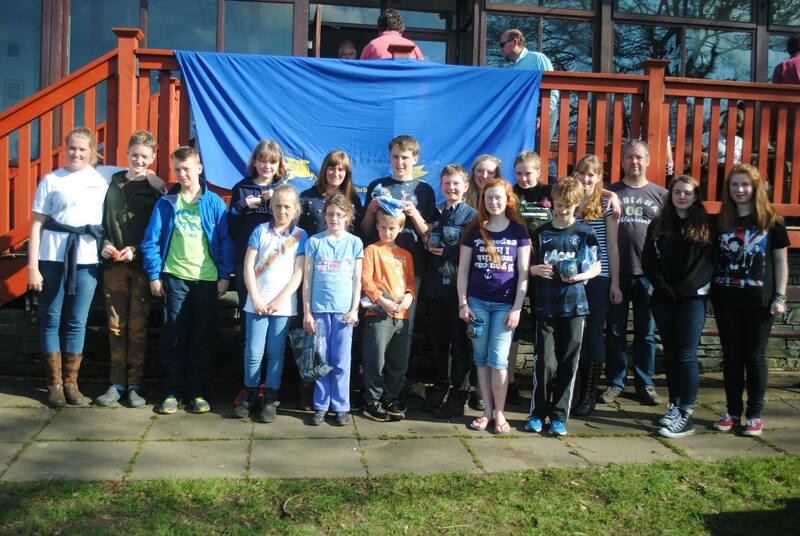 Until the end where they lost it. 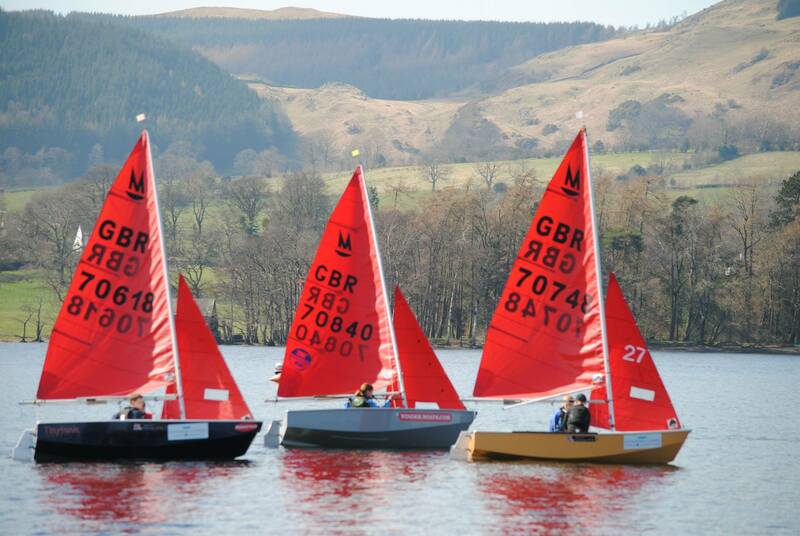 The next race was very similar apart from Robert and Sandy were second and Faye and Emma third. 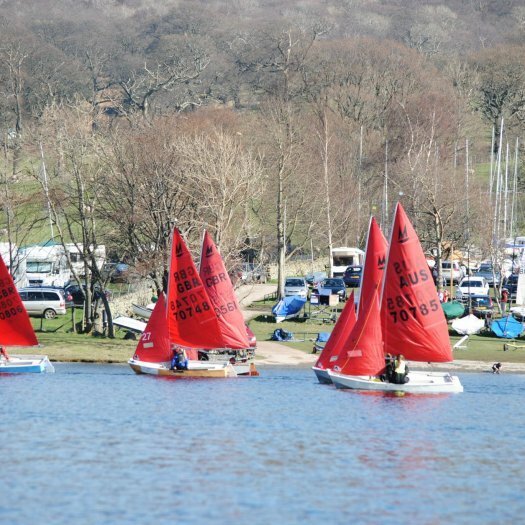 Sunday was the first round of the mirror northern traveller. 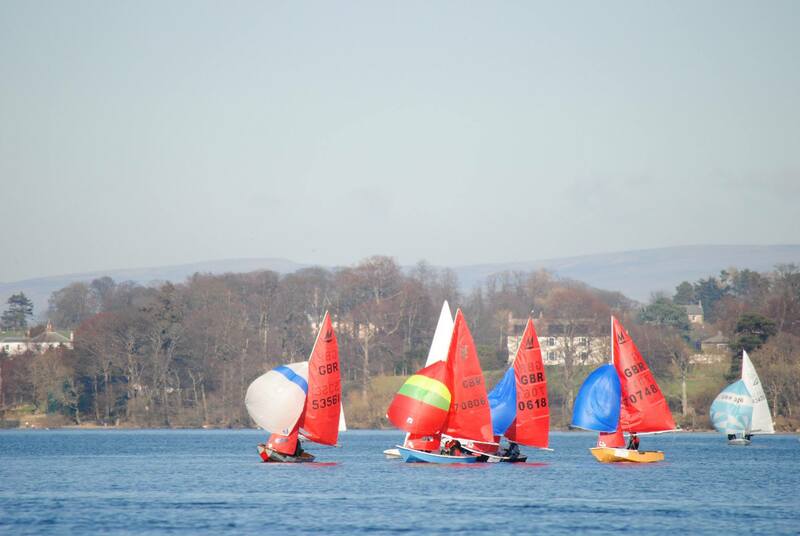 Again the day set of to a foggy start but eventually we got under way. 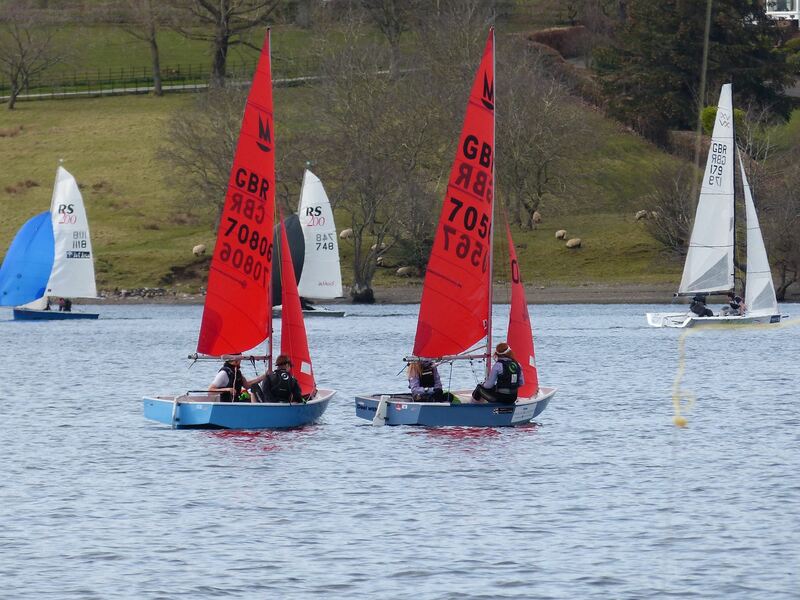 The first race was won by George and Katie, 2nd was Robert and Sandy, 3rd was Sarah and Douglas. 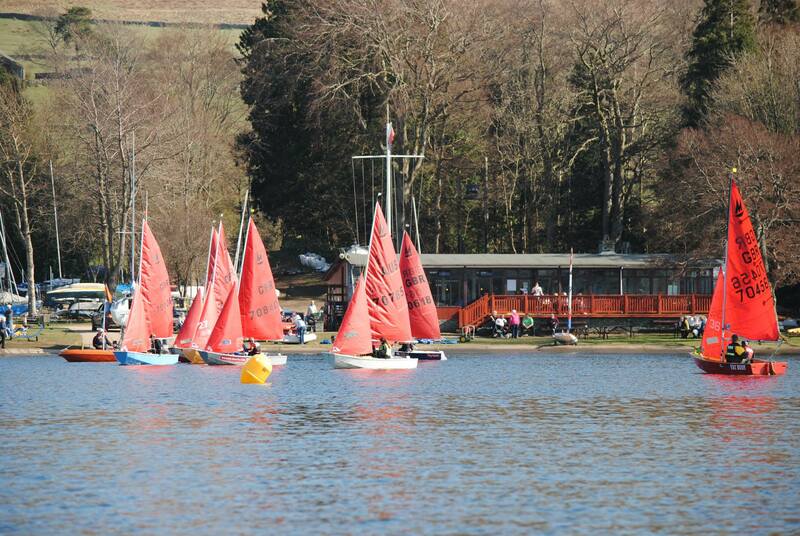 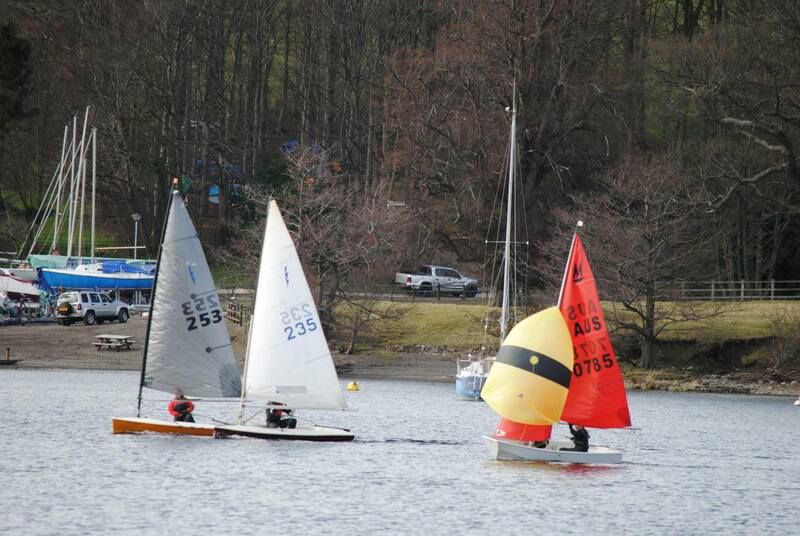 The second race of the day was a close one, with lots of position changing all over the fleet. 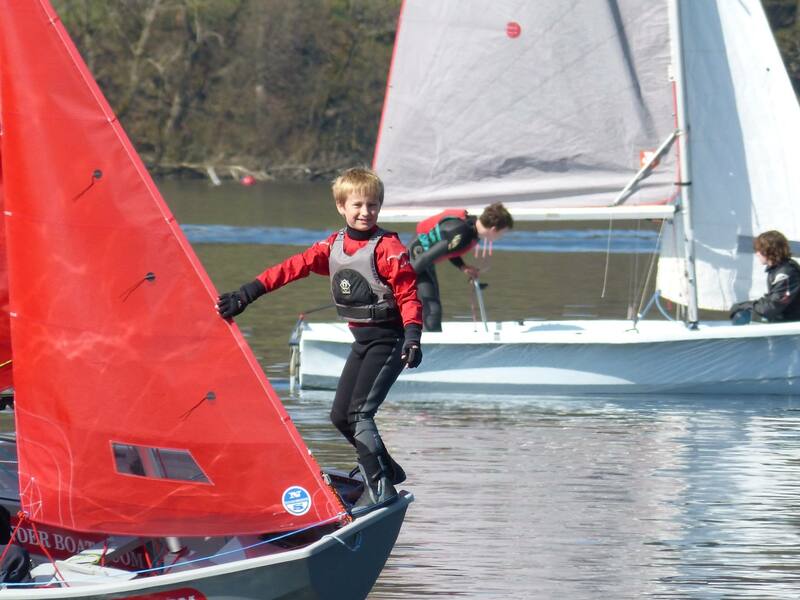 It all came down to the last beat. 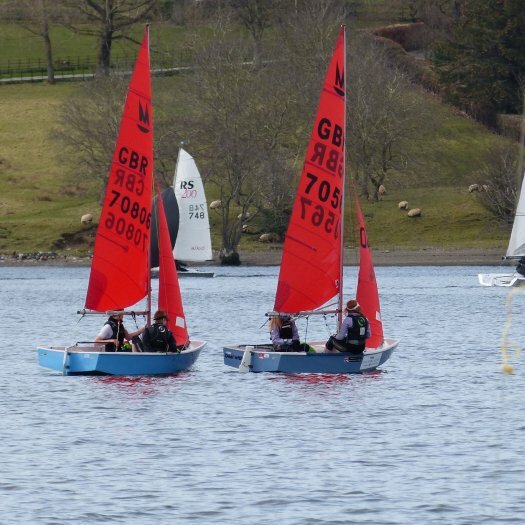 Robert and sandy were ahead at the bottom mark but were being closed down by George and Katie, Sarah and Douglas and Alex and Emma. 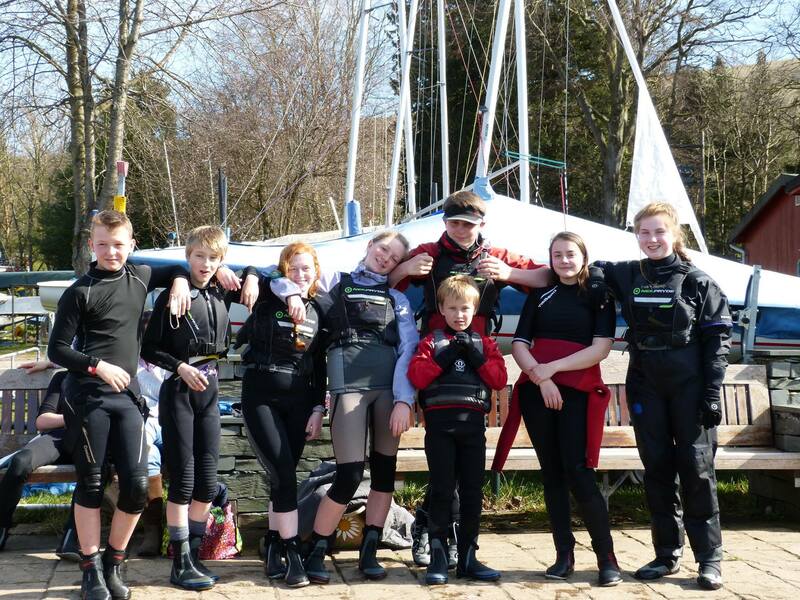 In the end Robert and Sandy took the bullet with Sarah and Douglas 2nd George and Katie 3rd and Alex and Emma just missing out on 3rd. 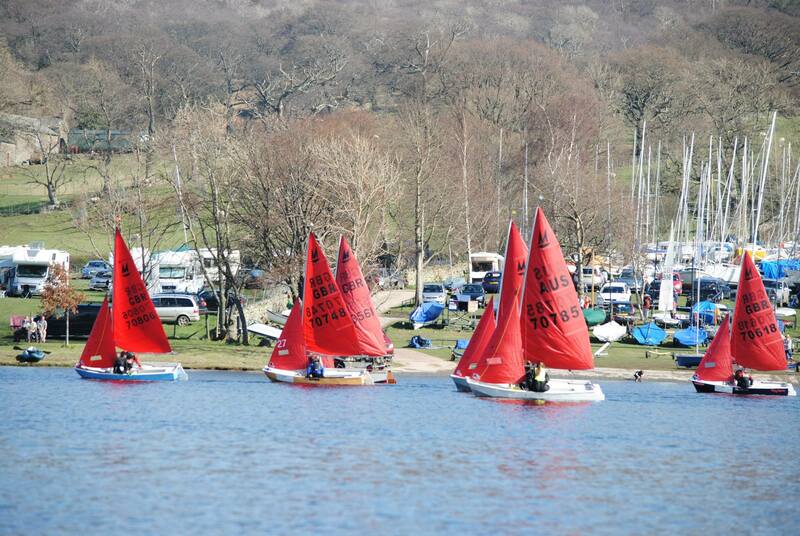 The 3rd and final race of the travellers was a close one. 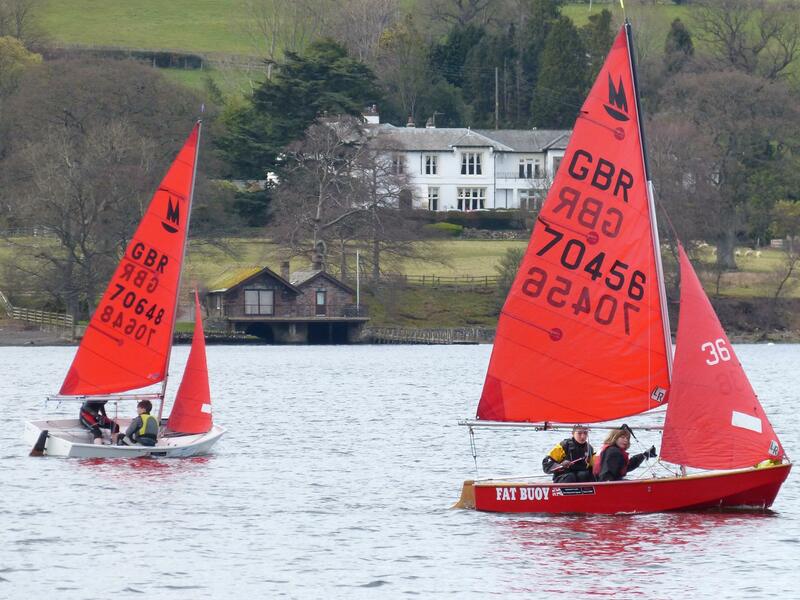 Whoever won out of George and Katie, Sarah and Douglas and Robert and Sandy. 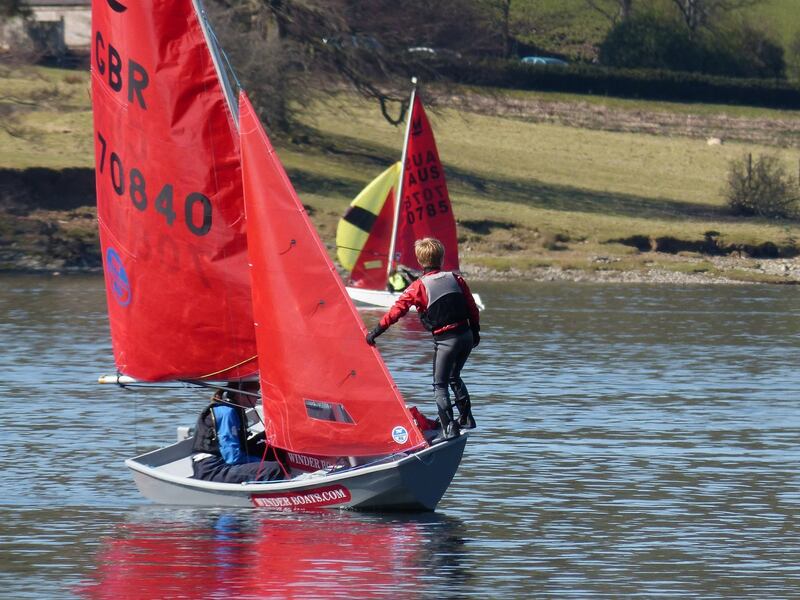 There was a lot of position changing but in the end Robert and Sandy won the race and the traveller. 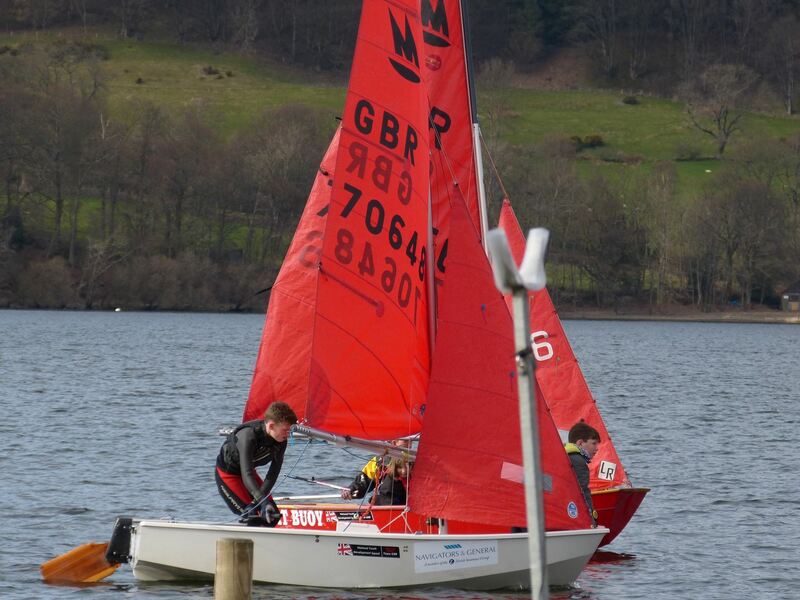 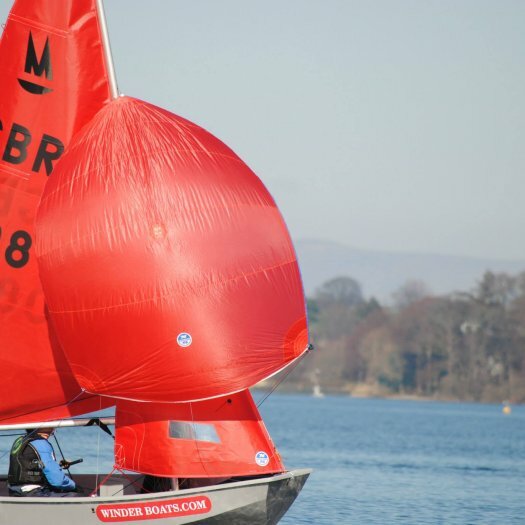 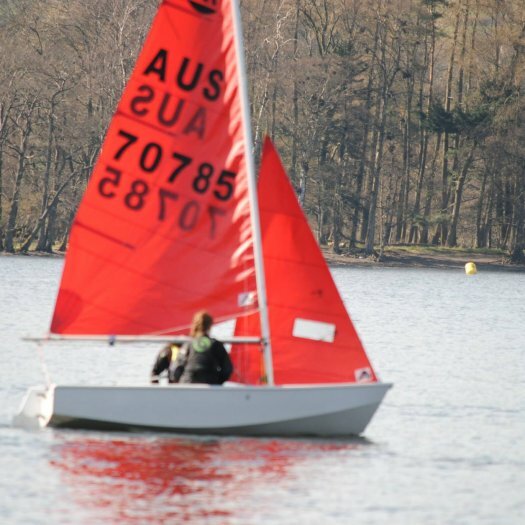 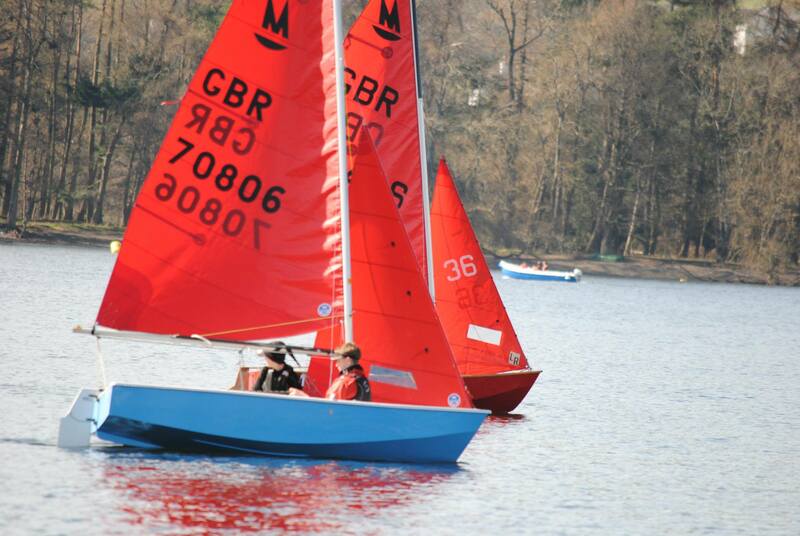 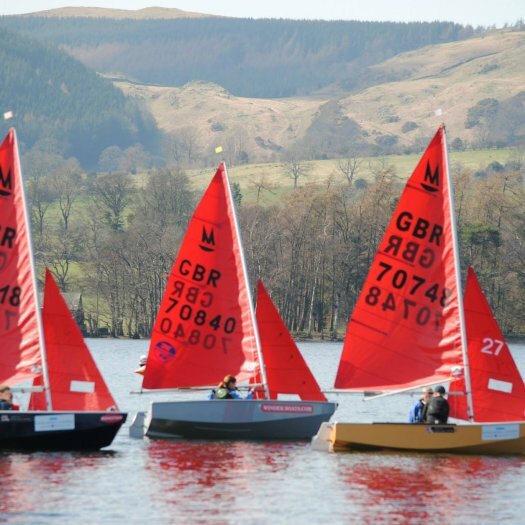 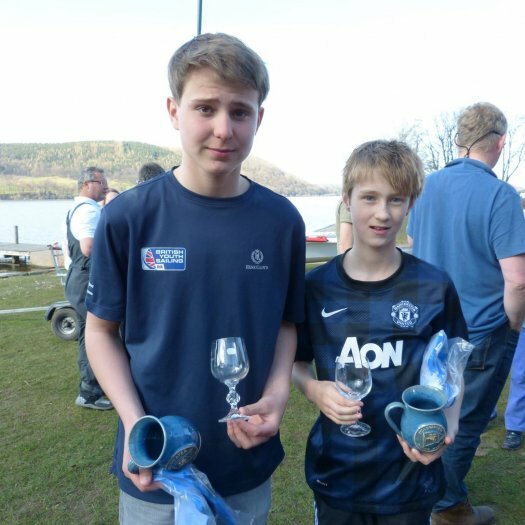 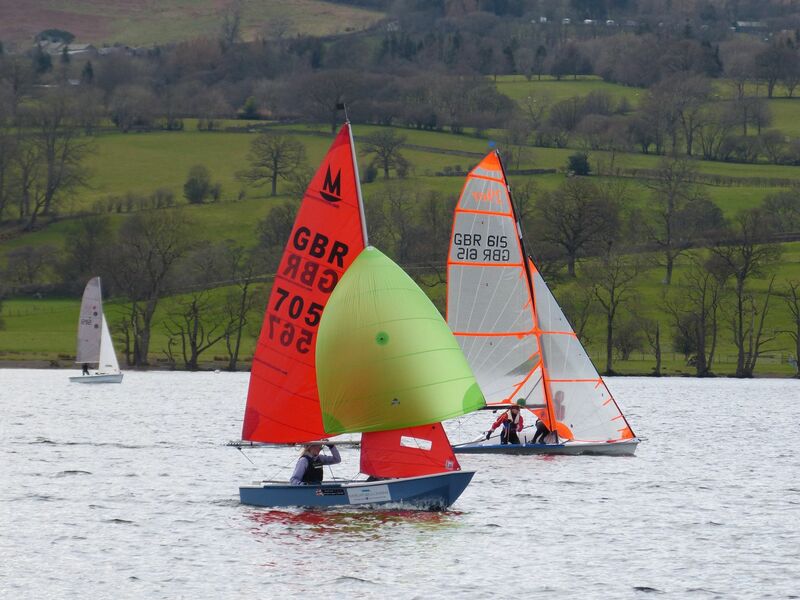 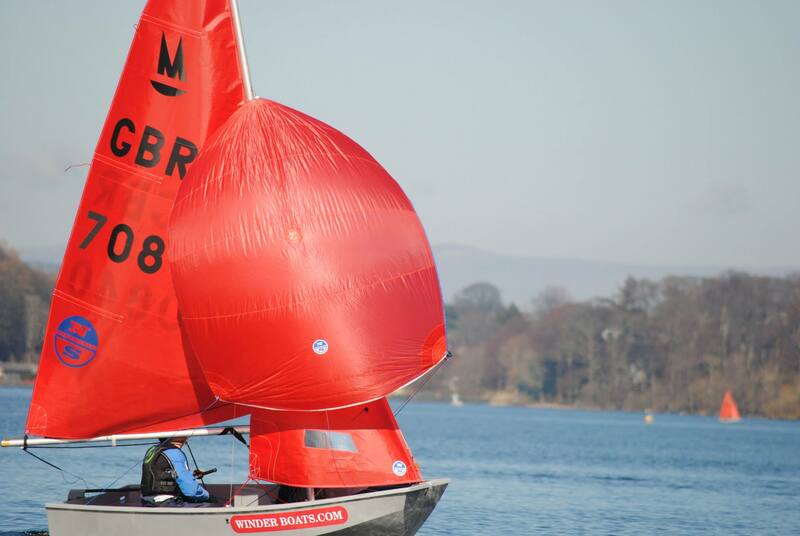 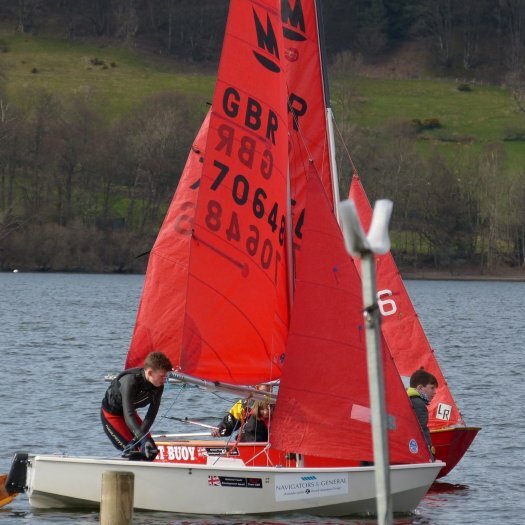 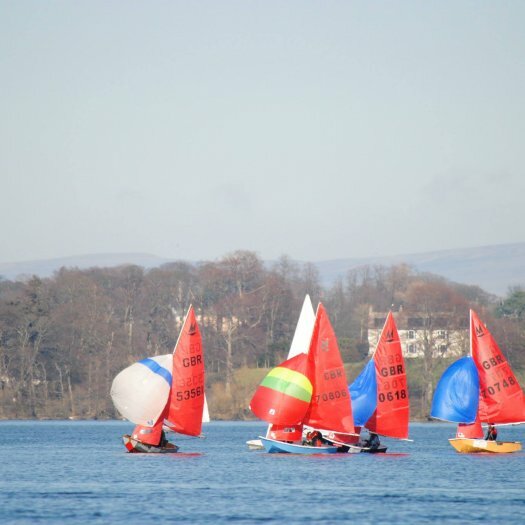 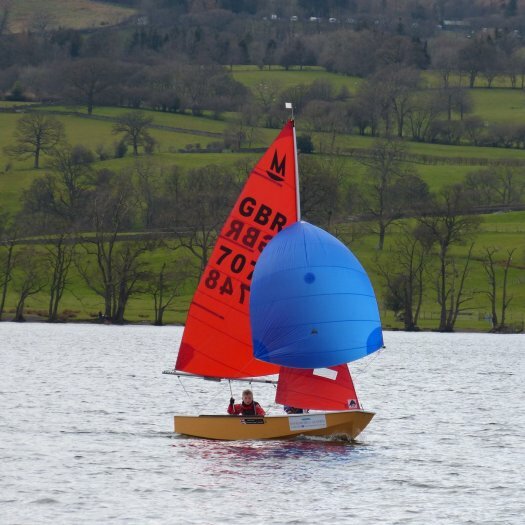 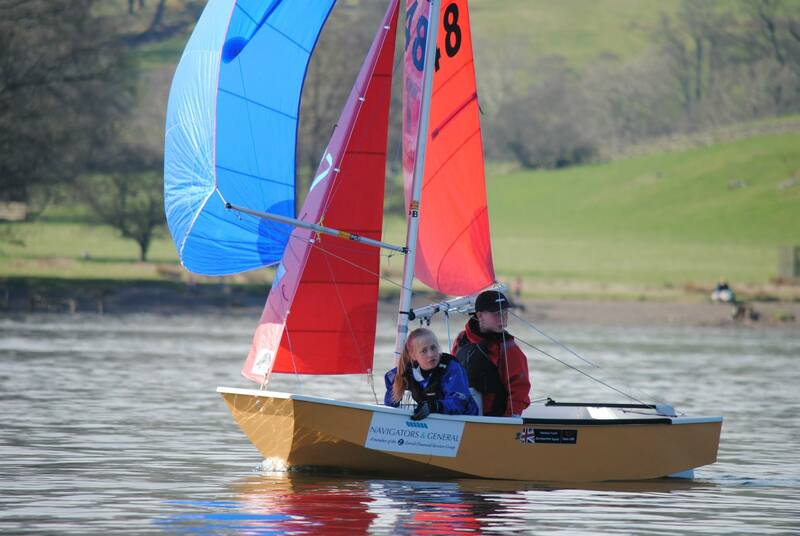 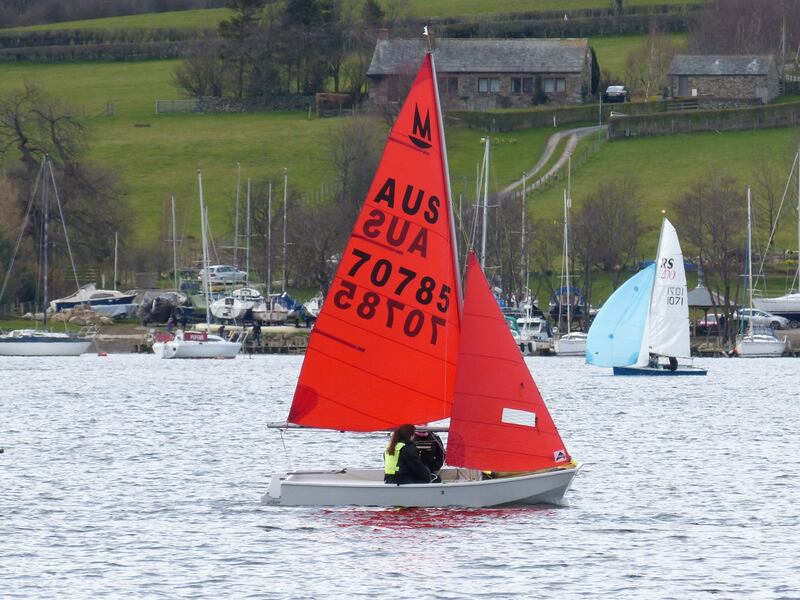 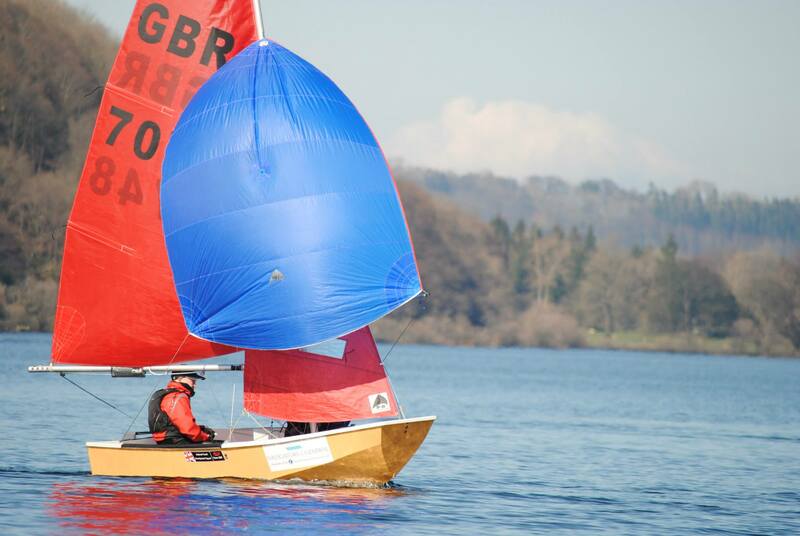 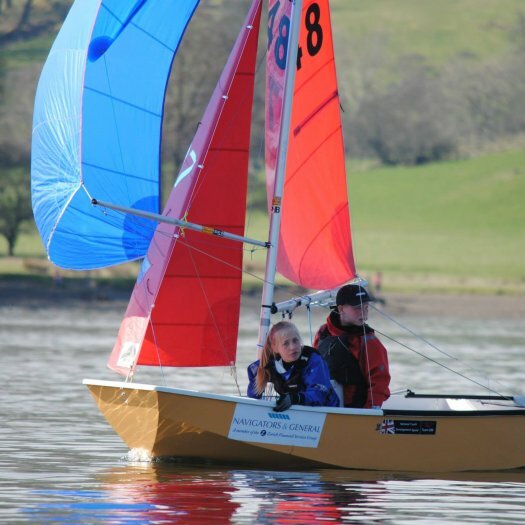 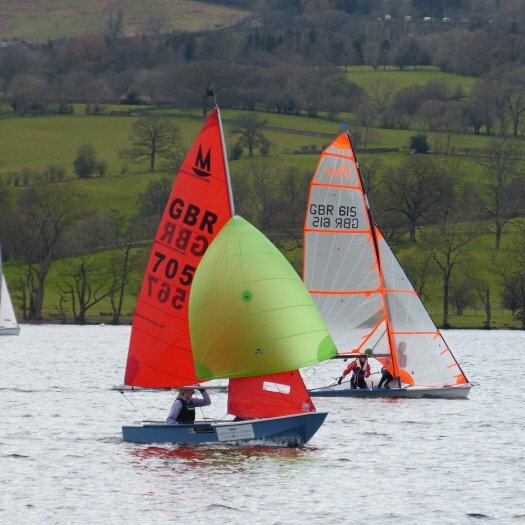 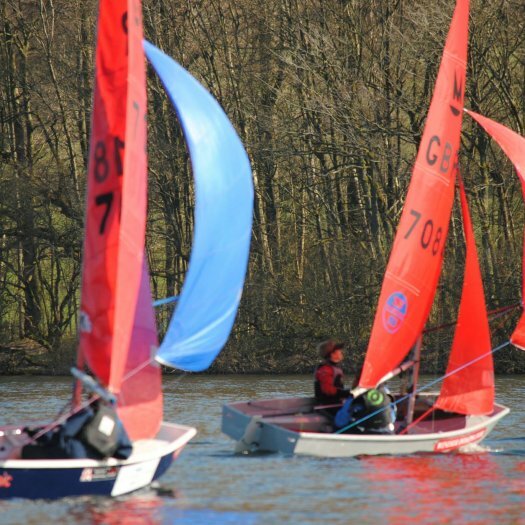 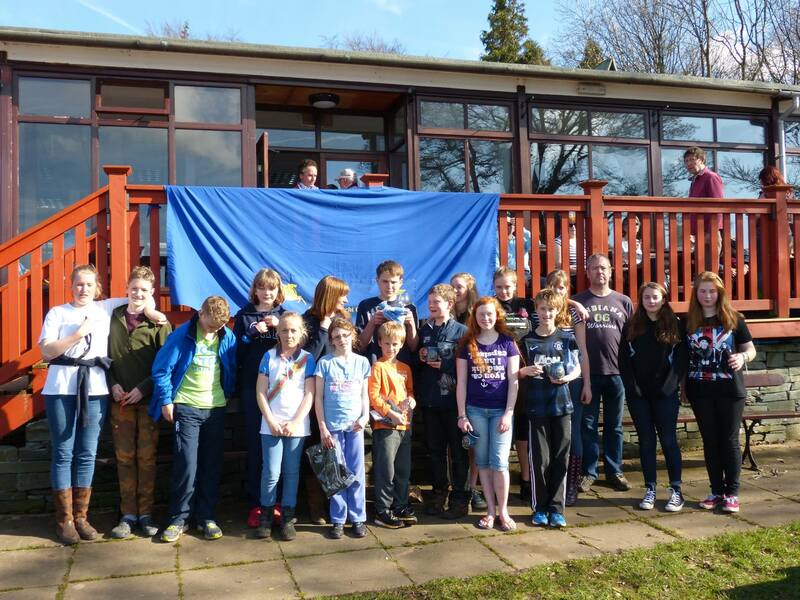 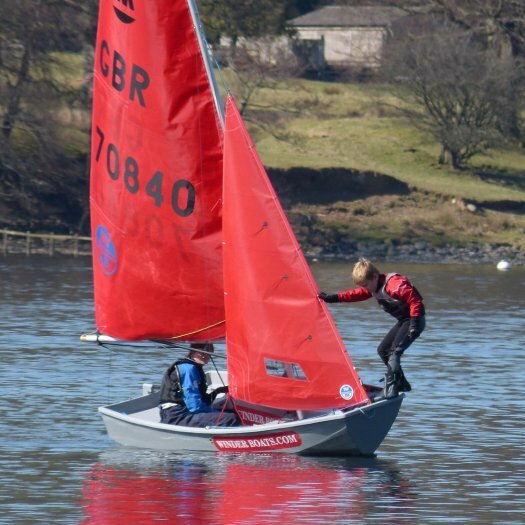 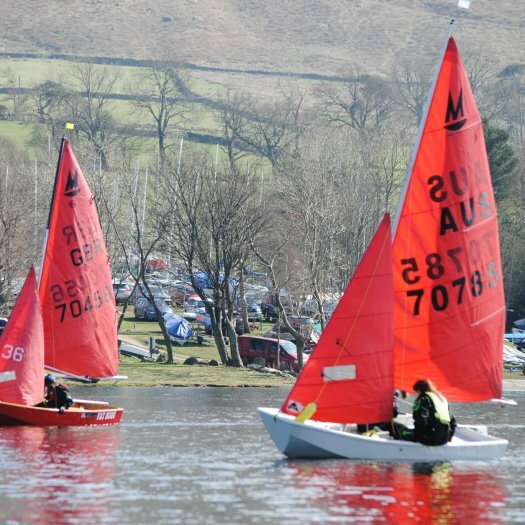 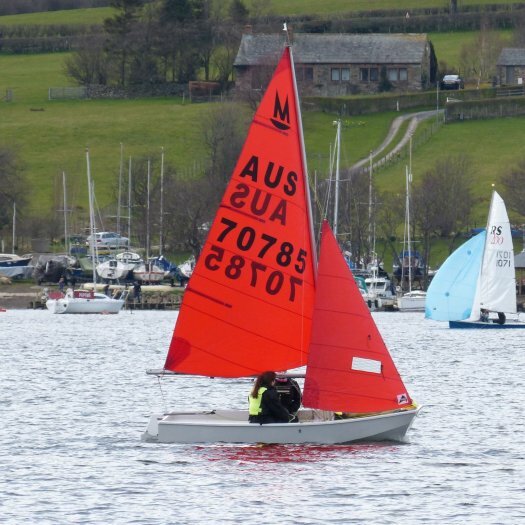 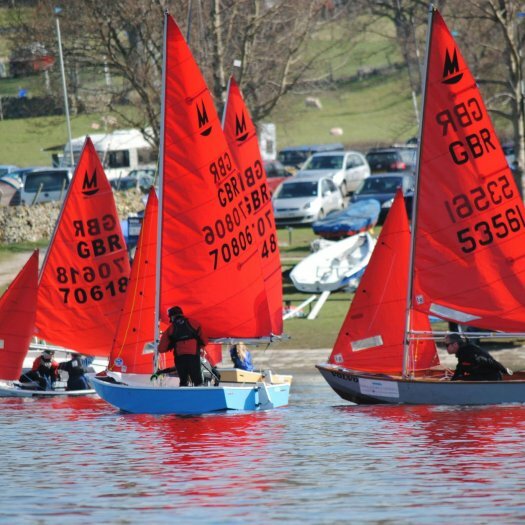 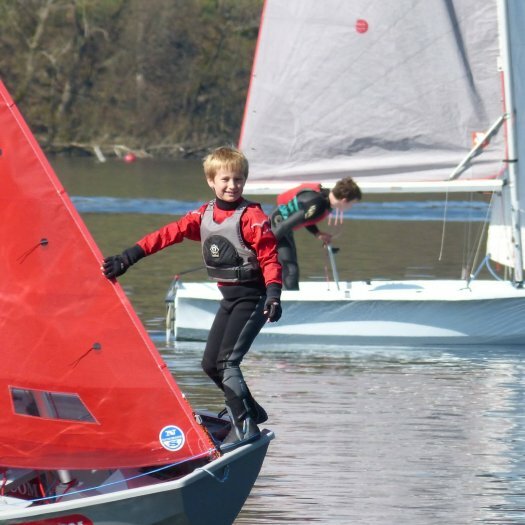 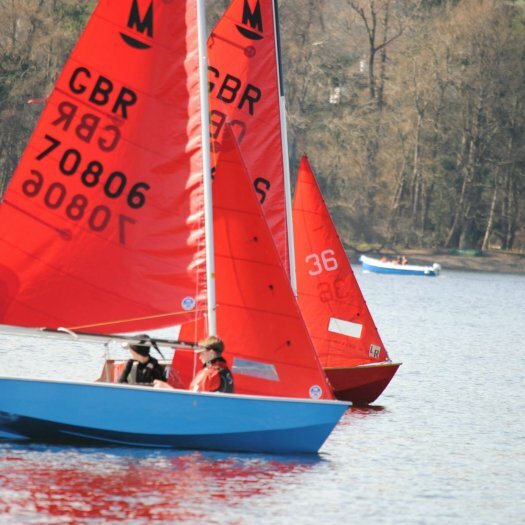 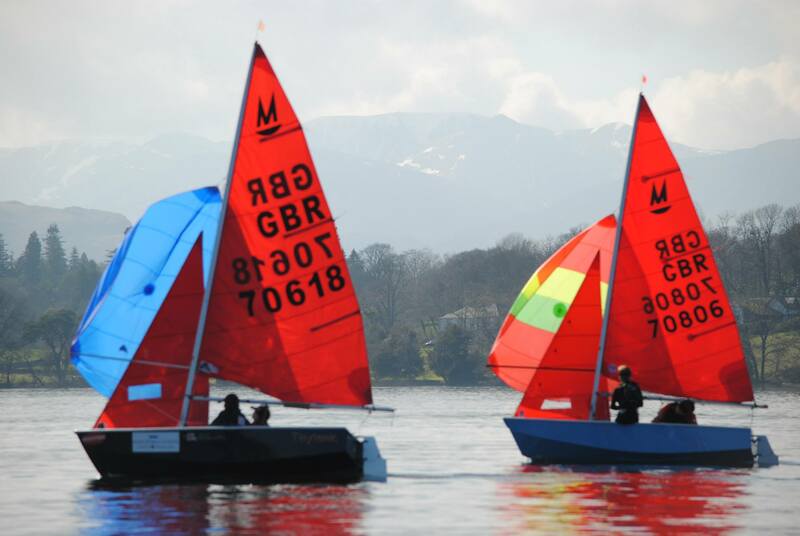 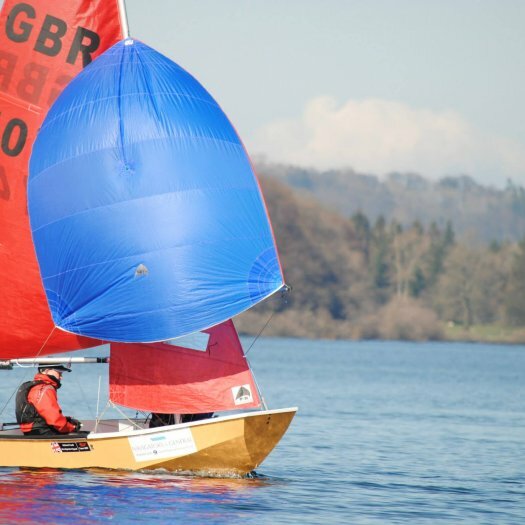 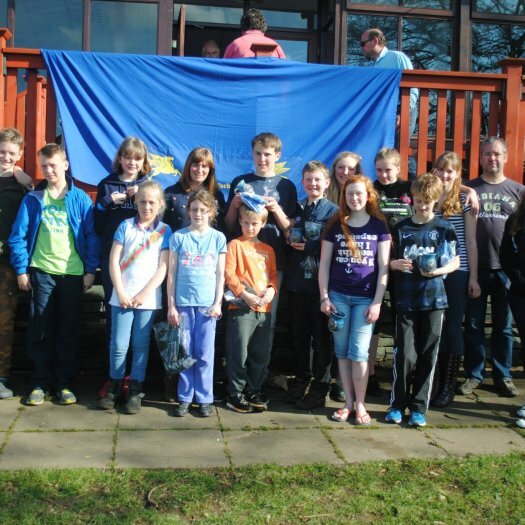 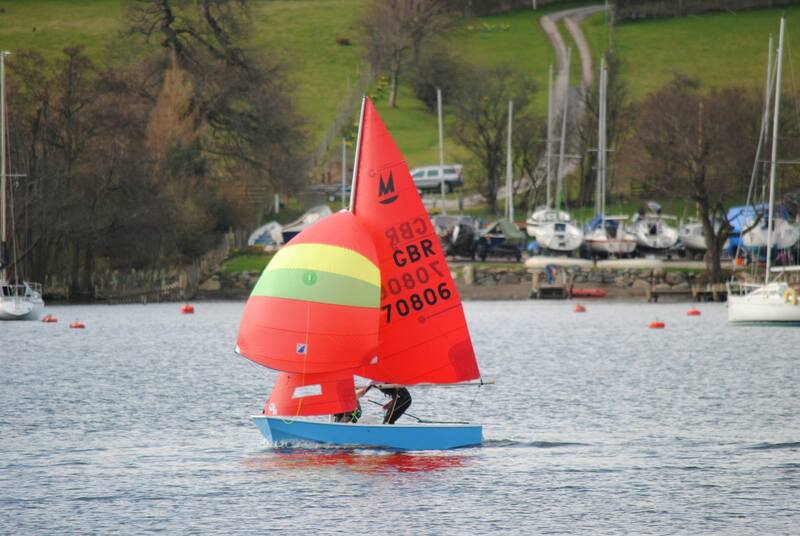 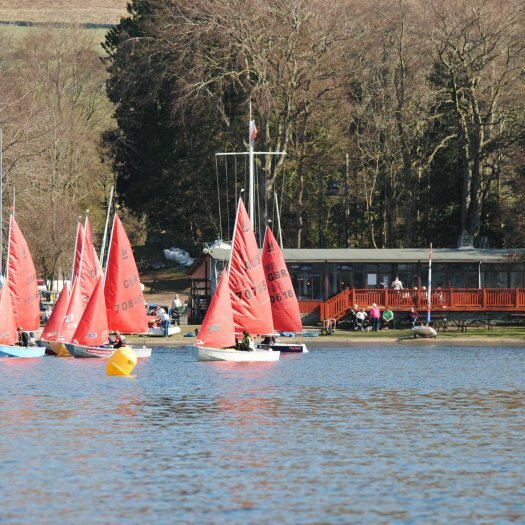 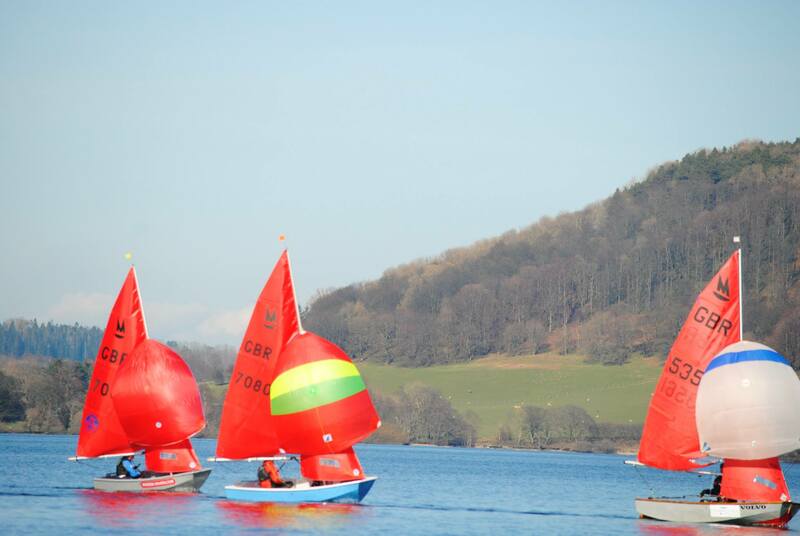 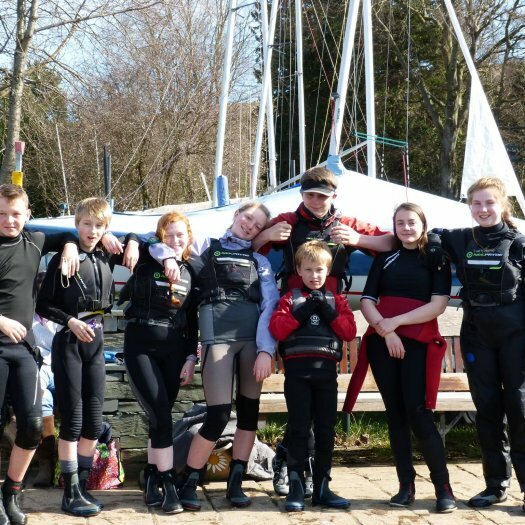 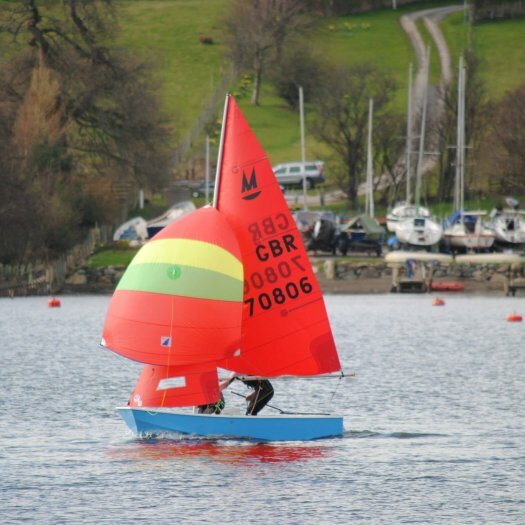 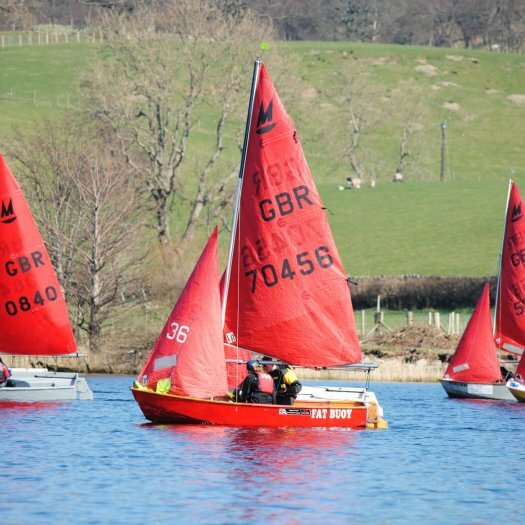 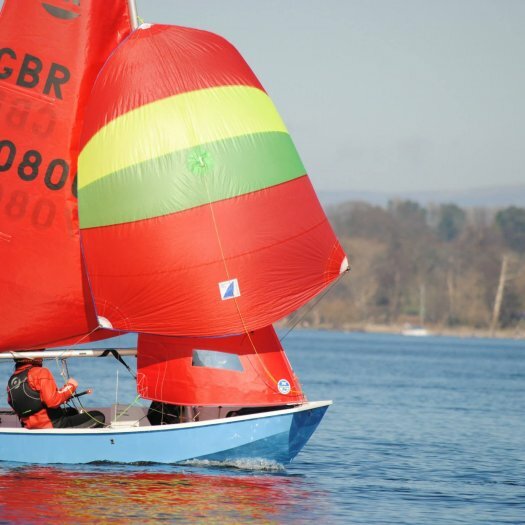 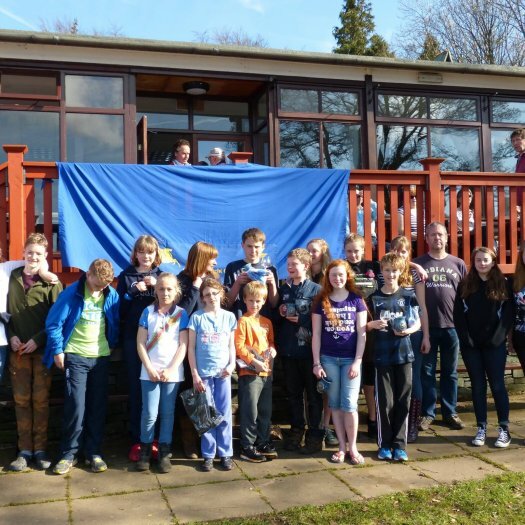 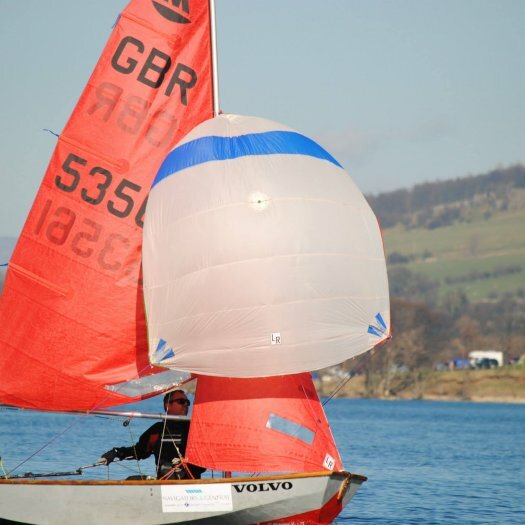 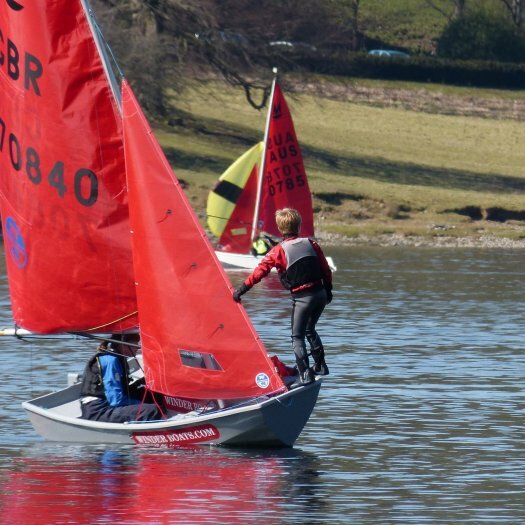 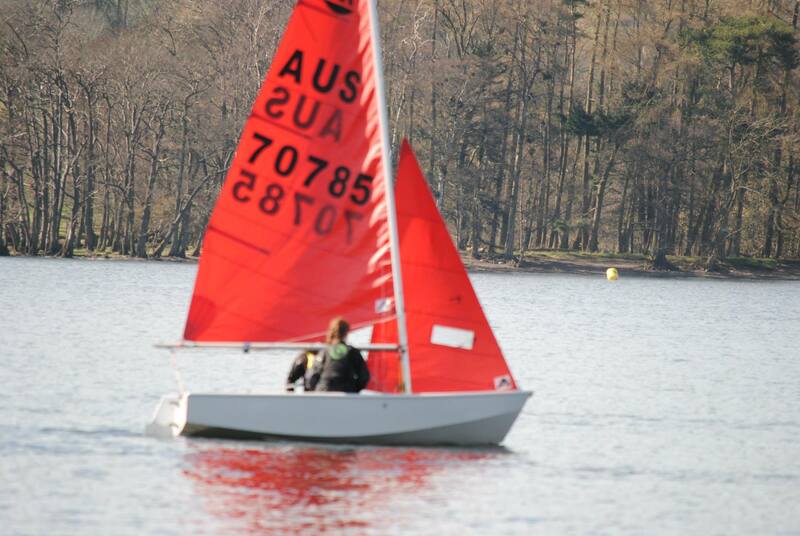 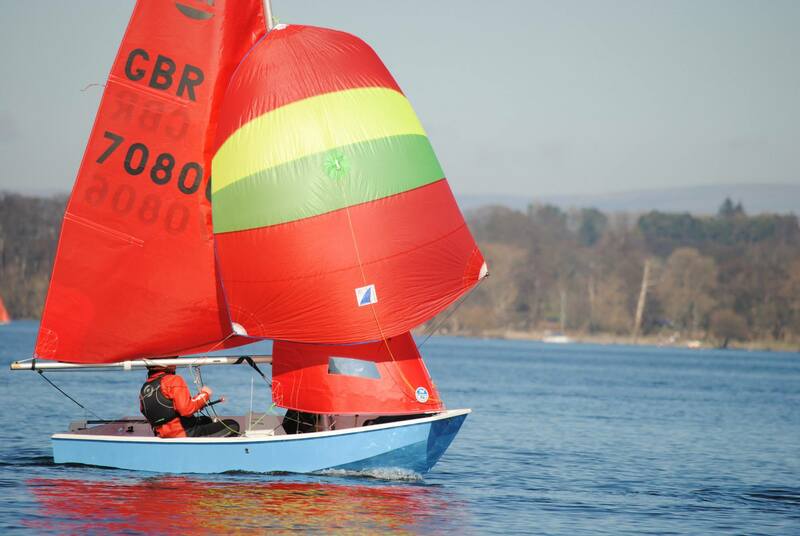 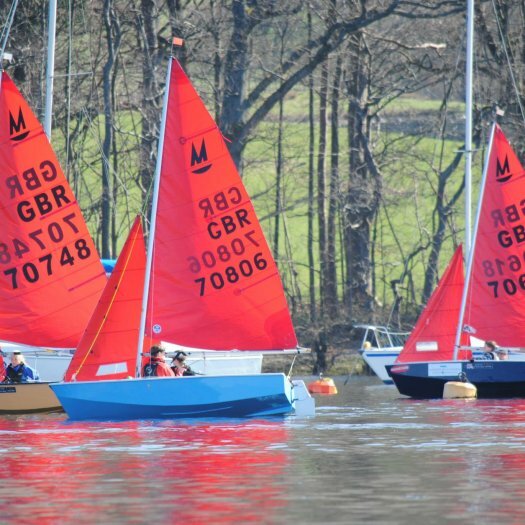 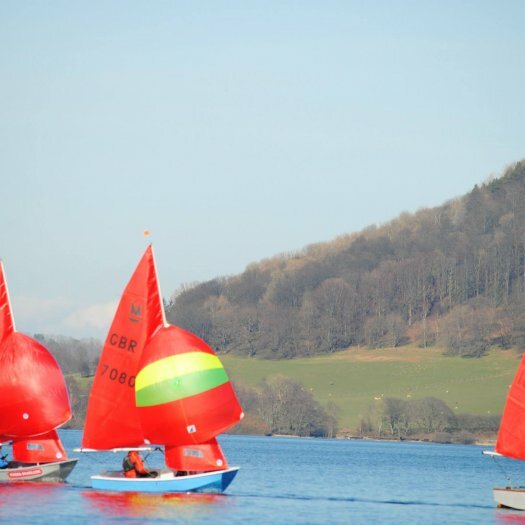 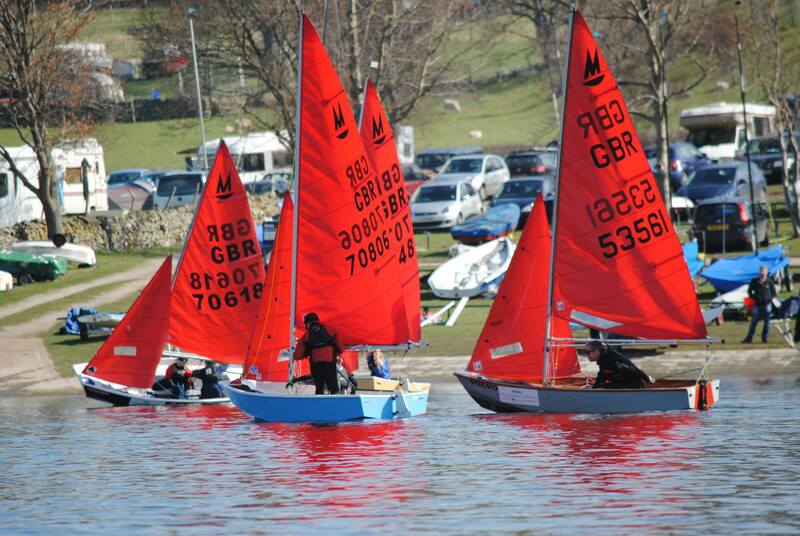 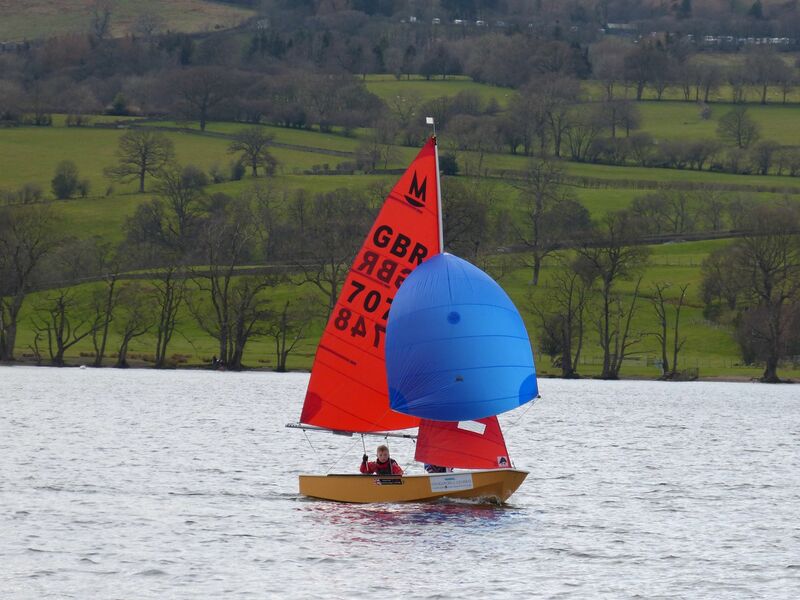 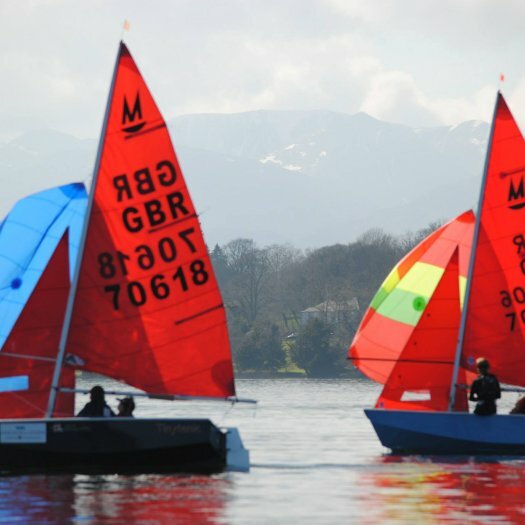 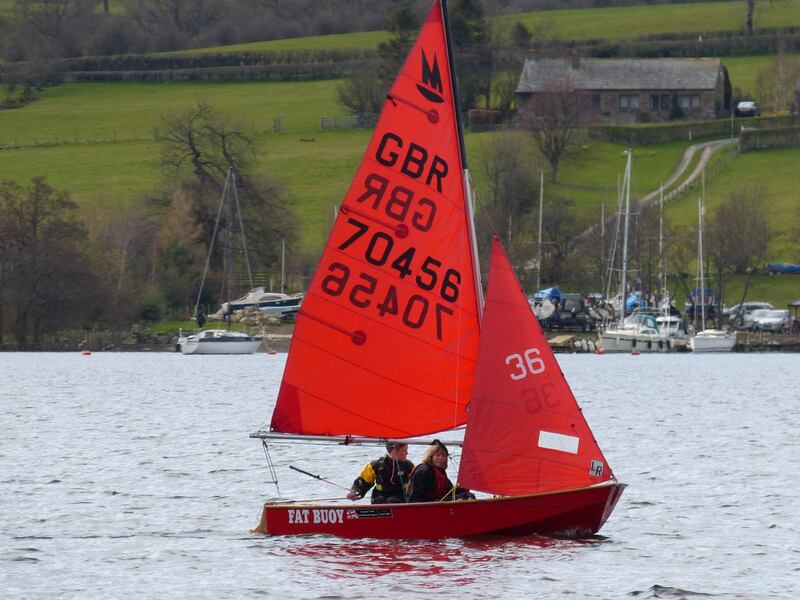 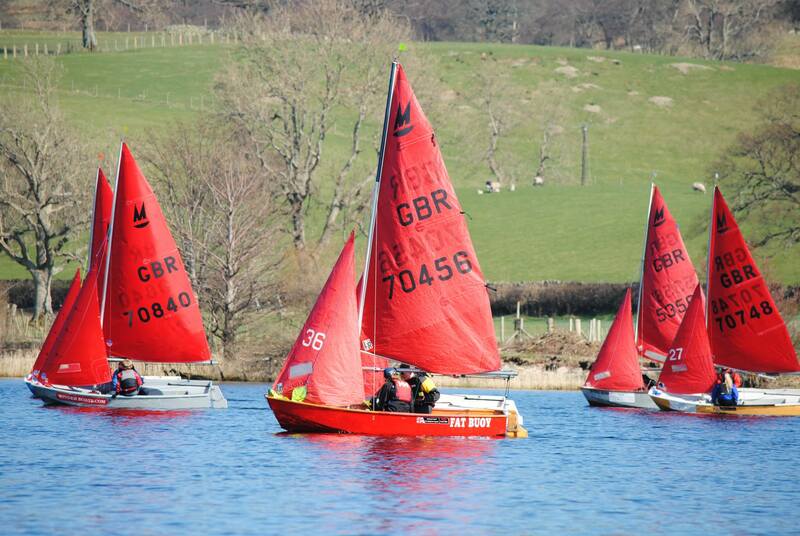 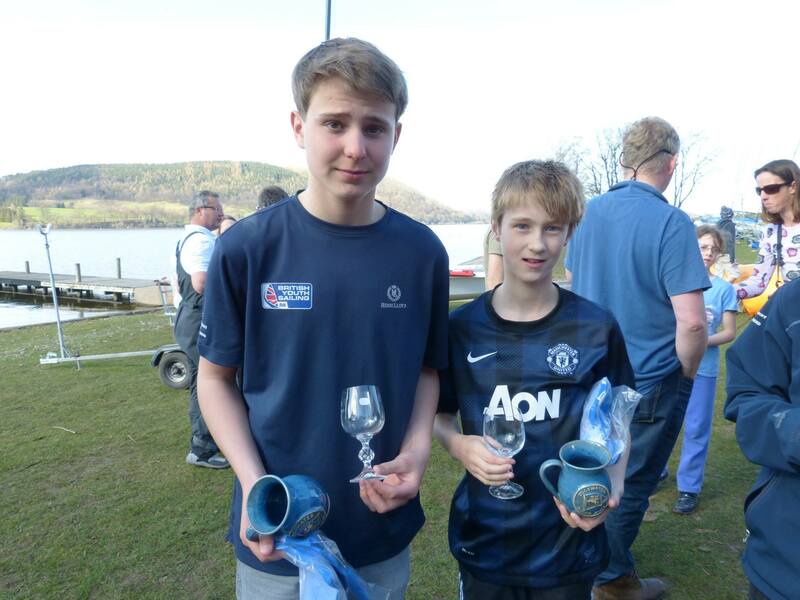 Well done to all the competitors for taking part, thank you to Ullswater for holding the event and to everyone who made the event possible, and also to NeilPryde for sponsoring the event.